My first DNF. Nice day, but I didn't have what it takes. Started early in Eugene, FInished late in Eugene. In between we rode over or along the Wilamette, McKenzie, Mohawk, Calipooia, and Santiam rivers. We also went over every hill between Eugene and Lebanon. On the return we hit Gap road at 100 mile in. Somehow I survived. Loop from Willamina. Misty mountain day. Got up at 4:30. Alarm was set for 5, but I was up. Good thing because it was dense fog getting out to the freeway and spotty fog all the way to Eugene. Still got their pretty early. It was clear in Eugene and just getting light when we left. Guy took over never to be seen again, but the rest of us stayed together (except when I got dropped in the mountains) until near the end when Chris took off, leaving 5 of us to finish together. The route starts climbing immediately on Lorane highway. Then down Spencer Creek and back into the fog to Crow. Spotty fog on Territorial to Monroe, then pretty thick fog to Bellfountain. Once we made the climb up to the wildlife refuge we said goodbye to the fog for the rest of the day. On the first climb up Decker I knew things were not looking good for me. Up until now I was right up with the group, even off the front a few time. But once the climbing started it was a different world. We regrouped at highway 34 but then I lost them again once we started the climb up Alsea mountain. By now it was a gorgeous day, sunny and warm, but of course most of the climb was in the shade where it was still quite cool, which was good for climbing. Regrouped again at the Alsea store which was past the halfway point. We took our time and had lunch there. I took off first in an effort to at least be with the group when we hit the climb again up the South Fork. I was but then I dropped my chain on the shift to the little chain ring, and then I was behind again for the rest of the climb. I used to think this was a relatively easy climb, but 80 miles into the ride I was suffering. Still I kept a steady pace as the afternoon wore on and it was cooling off in the deep dark woods. My mind clouded over with "what the hell was I thinking" thoughts as I lamented getting dropped so badly. I must be too hard on myself. I don't give myself credit for being between 10 and 30 years older than the other riders. The sun was sinking low as I finally made the fast descent to Alpine. I had to stop the first of three times to clear out some gunk that got caught in my front fender. My new Paul's MiniMoto brakes were great even though the front was still squealing, but the reduced tire clearance was becoming a problem. By now I thought the group was long gone and I'd be solo the rest of the way, on a route I didn't know, in the dark. Gloomy feeling. I was so relieved when they were still at the store in Monroe, where they had arrived 25 minuted before me and were now ready to go. I didn't need to stop, just to change my glasses as it was starting to get dark, and put on another layer. Feeling quite relieved to be back in the group I was able to really enjoy the rest of the ride. After a few more hills on Territorial we turned off towards Alvadore and were now in the flats for good. We were treated to some beautiful sunset colors as we rolled trough farmland and some restored wetlands. It took forever to get to the last control in Alvadore and soon after we were on bike paths all the way into Eugene. It really is a great feeling to complete a ride like this. Towards the start I told Michal I wanted to do his 300k ride this year but after the finish I seriously doubt my ability to do that. But it's not until June so we'll see. Pictures by Susan Otcenas. I didn't take any. Sunny day and no wind. Warmed up nicely as well. As good as it gets for late November. Of course it got dark early but I have good lights and like riding in the dark. Absolutely gorgeous fall day. Wasn't my best ride. Gorgeous cool clear day after weeks of heat and smoke. My longest ever ride. Beautiful day. Banks-Vernonia Trail. Then Mist, Jewel, Elsie and back. 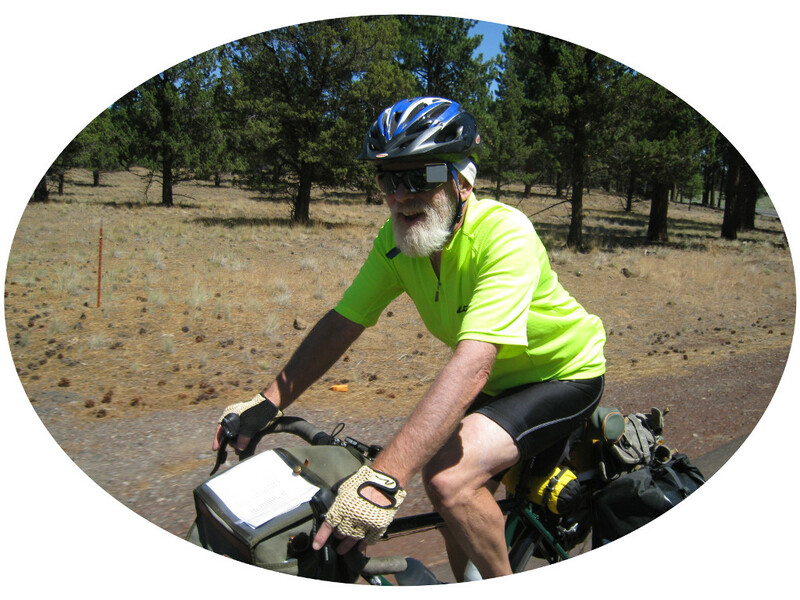 Oregon Randonneurs brevet. My first. Beautiful day, great people. Wilsonville to Scio then Salem and back. I got up at 3:30 and drove up to Wilsonville. I got to the Starbucks early but there was already a group of riders getting ready to go. Turn out they were doing a 400k ride. Glad I didn't go with them. Pretty soon people started showing up for the 200k ride. Right away I meet Narayan, Keith, and Susan, and it turned out they would be my companions for the rest of the day. I also met Lynne whom I have been working with online on the RUSA website. There was a mass start at 7:00 of about 12-15 riders. The pace was swift from the start making me thing I would soon get dropped. The route started on the freeway of all things. It was the only way across the Willamette. Once we got across the river and off the freeway the group started splitting. The fast riders were off the front in no time. At first everyone else stayed together but soon the slower riders started falling back. I managed to stay with the middle group thinking I would fall back to the slower group later. I never did. The group I was with set the perfect pace for me the entire day. We were soon on Meridian road riding long rollers for many miles. In fact the hills continued all the way to Scio. At one point I left the group behind as they were waiting for one rider to get up a hill. I rode on slowly expecting them to catch up but it turns out one of them had a flat. So I had about 12-15 miles of solo riding at a very mellow pace before they caught back up. I think this really helped my overall day. The first bridge was Gallon House. It was the only one on this route that was not also on the CBBT. The rollers continued until not far from Scio there was one serious hill. I had to get off and push it was that bad. Then the fast downhill to the Shimenek Bridge and I was now in familiar territory. We stopped at the Covered Bridge Cafe in Scio which was our first open control and had our cards initialed. We were well within the time so we sat down ate and rested a little. From Scio we followed familiar roads to the Hoffman and Gilky bridges and then headed towards Jefferson and turned on Green Bridge road. But instead of heading in to Jefferson we followed roads directly north over more hills and on in to Salem for our second control where we stopped at a Starbucks. After Salem the route followed the Willamette Valley Scenic Bikeway on and off for quite a while but then broke off and headed east through Donald and eventually back to Wilsonville, once again crossing the river on the freeway. Our finishing time was 11:40, almost 2 hours ahead of the cutoff. It was amazing for me to be fairly effortlessly keeping up with riders for whom 200k was just a warm up ride. Both Narayan and Susan have completed Paris-Brest-Paris in both 2011 and 2015, and have done other 1200k Grand Brevets. This means they had to first complete a series of 200k, 400k, and 600k in the same year. I still cannot wrap my mind about that. While I felt good after 200k I was a wreck the next day and 3 days later am still not recovered. Still I want to do more. There is a 300k at the end of June but it conflicts with the Loop Tour which I'm doing. So I might just do another 200k in early June and see how that goes.